Father Carlos Pinto, S.J. planned and built Immaculate Conception Church in June 1893 as the sister church to Sacred Heart. Under Rev. Edward Barry, S.J. the rectory was finished and the Altar and Rosary Society established in 1901. That same year, Rev. Francis C. Roy, S.J. began his long tenure as pastor until 1922. Under his care, the church was expanded in 1902 with the original wood roof replaced by a paneled steel ceiling, a new altar installed, and 16 feet added to the seating capacity of the church by converting the sacristy into a new sanctuary. The first meeting of the Knights of Columbus in the state of Texas was held in Marquette Hall, located in the basement of Immaculate Conception Church, in February 1902. Thirty-five applicants signed as charter members and formed the nucleus of the first El Paso Council, which also was the first council of the Knights in Texas. St. Mary School was built in 1903 on Myrtle Avenue as the parochial school for Immaculate Conception and was operated by the Sisters of Loretto for more than 60 years until it closed in 1965. 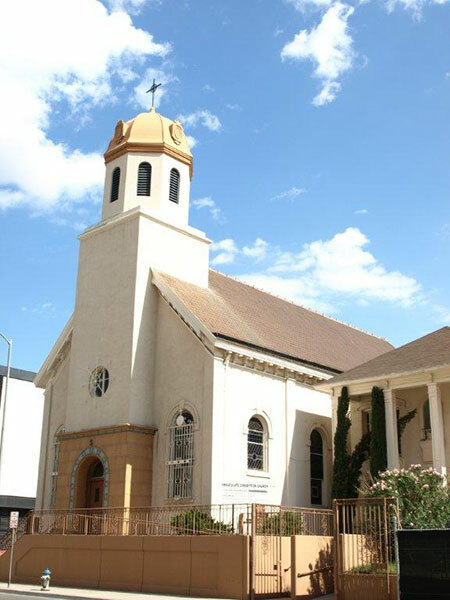 When the Diocese of El Paso was created in March 1914, Immaculate Conception became the Provisional Cathedral until the opening of St. Patrick in 1917. 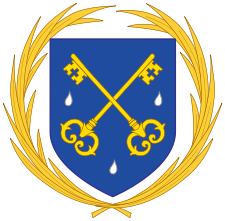 On July 10, 1959, Immaculate Conception was turned over to the priests of the Diocese by the Very Rev. Lawrence M. O’Neil of the New Orleans Province of the Jesuits, ending 67 years of Jesuit administration. The last Jesuit pastor was Father John J. McCarthy and the first diocesan priest was Father Peter F. Ruiz. Upon Father Ruiz’ death in 1971, Father John Lauretti became pastor and was assisted by Father A. Dixon Hartford and Father Fernandez who began offering a Spanish Mass for the first time in the church’s history. In 1977, Father Francisco Herrera became the pastor and under his leadership, the church became home of the Diocesan Apostolate for the Deaf with a Sunday noon Mass signed for the hearing impaired. In 1988, Monsignor William Ryan became the 30th pastor. In 2014 Bishop Mark Seitz invited the Priestly Fraternity of St. Peter (FSSP) to serve El Paso in Immaculate Conception parish. In August of that year Father John Shannon, FSSP and Father Kevin O'Neill, FSSP came to Immaculate Conception marking the first time in decades that priests were in residence at the parish. Additionally, their arrival renewed the regular celebration of the usus antiquior, the traditional Latin Mass, at a church and on an altar that were erected when this liturgy was ubiquitous in the life of the universal Church. To this day, Immaculate Conception continues to be a landmark of the downtown landscape.